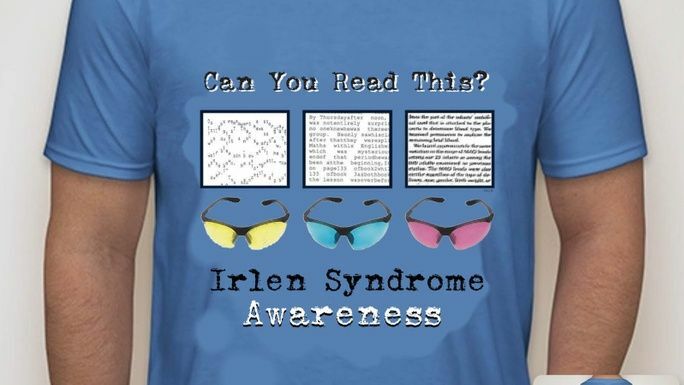 Millions of people suffer from Irlen Syndrome, a brain processing disorder that affects daily functioning, with symptoms ranging from light sensitivity and headaches or migraines, to discomfort when reading, eye strain, and experiencing distorted text or surroundings. Want to know what it's like to have Irlen Syndrome? Take a minute to watch the video below. Irlen Syndrome doesn’t discriminate: sufferers include students, active military members and veterans, and athletes. Currently, an estimated 15% of the general population suffers from the condition, in which the brain is unable to successfully process visual information. Irlen Syndrome is not identified by standard educational or medical tests, so sufferers rely on Irlen screeners to catch the processing disorder independently. Irlen Syndrome can dramatically impact academic success. In some schools, more than one third of students are at risk of being held back due to grade promotion guidelines requiring grade-level reading skills. These children are not failing through any fault of their own. For those who screen positively for Irlen Syndrome, immediate solutions are available including colored overlays and personalized spectral (color) filters. The non-invasive filters, either placed over reading material or worn as glasses, provide most clients with immediate relief, filtering out troublesome light waves that disrupt normal brain processing and daily functioning. However, many of these children don’t have access to testing and filters simply because it can be expensive and insurance does not cover any of the costs. All costs are out of pocket and since Irlen Syndrome tends to run in families (it is genetic), this can mean thousands of dollars in expenses to properly test and treat all affected children and adults with lenses. The Irlen Syndrome Foundation provides scholarships to those in need so that they can pay for testing and lenses. Regan was diagnosed with severe Irlen Syndrome one week after her 17th birthday, after just beginning her senior year of high school. She had been struggling mightily in school since about 6th grade, and we did not know why. We had her vision checked, but she has perfect vision. We bought low magnification reading glasses anyway, but they didn't help. She hated reading and refused to do it unless she was absolutely forced to. She suffered daily from headaches and frequent migraines. She was exhausted and took naps every day after school. Her self-confidence suffered immensely from feeling so inept in the classroom. When Regan, during her Irlen screening, was able to read the way a normal person does for the first time, with her Irlen-specific color overlay, she burst into tears. Her screener and I did too. She had never seen the written word like we do before. All it took to correct it was the right color! Her life has never been the same. Regan’s diagnosis was life-changing for her in every way, but also a little terrifying. As grateful as we are for the diagnosis and her Irlen lenses, we know there is a lot she has missed out on over the years. She and I both want to prevent other kids from going through what she has gone through since elementary school. We want to make it our mission to tell anyone who will listen about Irlen Syndrome, its symptoms, how to be tested, and how lenses can change their life...and the sooner the better. If we can succeed in this, then wearing colored lenses in school will be a normal part of every classroom, and these kids will not have to feel "different" or "weird". Our goal at the Irlen Syndrome Foundation is to ensure that Irlen technology is accessible to all those who need it, but we receive more requests for aid than we are able to support. We provide partial and full scholarships for Irlen intervention across the United States. It costs a minimum of $550 to provide a full scholarship to cover Irlen testing and lenses (glasses) to one child. This proven solution isn't covered by insurance, and many individuals from low-income families just simply can't affort to get the help they need. We're changing that! We're raising $10,000 to provide scholarships for Irlen testing and lenses to 20 individuals from low-income families. Of course, the more money we raise, the more people we can help. And, who are we? Well, we are moms and dads who have seen our children suffering first-hand due to undiagnosed Irlen Syndrome. We are Irlen Syndrome sufferers ourselves who personally know the difference colored lenses can make in our lives. We are friends of people we love who have struggled not knowing about Irlen Syndrome or that color could help them. We are you. We are people who care deeply about the confidence and success of our children in a world where the ability to read is imperative. We have been touched by this and are determined to not only inform others, but help to provide solutions to those who wouldn’t otherwise be able to have access to them. We believe that no child should suffer from Irlen Syndrome due to lack of funds. The Irlen Syndrome Foundation provides the means for these children to get what they need to be successful. *Note. Actual T-shirt color may vary slightly from the image above. 3 in 20 people suffer from untreated Irlen Syndrome, affecting their ability to read & learn, self-esteem, and health & well-being. We're giving people access to proven solutions and changing lives. Est. Delivery Date: You can expect to receive your t-shirt about 3 weeks after the close of the campaign. * $6,025 in offline donations included in total.